Dr. Schafer believes providing both compassionate care and educating patients are of equal importance. After graduating from University of Washington School of Dentistry in 2008 Dr. Schafer completed a one-year Advanced Education in General Dentistry program with the US Army at Fort Lewis, Washington. In 2012 Dr. Schafer graduated from the Endodontic Residency at Fort Gordon, Georgia. 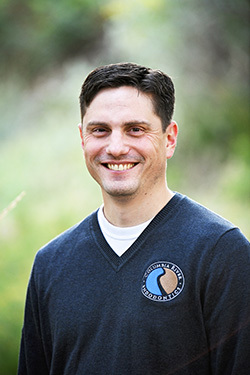 Following the residency Dr. Schafer served as the sole Army endodontist in Italy providing quality care both locally and to outlying military dental clinics in the Italian region. While stationed overseas Dr. Schafer worked with a multidisciplinary team to diagnose and treat complex cases involving trauma and oral pathology. Dr. Schafer also served as the endodontic mentor to general dentists and helped train Red Cross volunteers. After spending three years overseas, Dr. Schafer is excited to be practicing in the Tri-Cities area, allowing him to be close to family and friends.